Second Business Plan Post Book, One Day! What a time savings, and a huge short cut in gathering my thoughts and processes together! Tremendous help! Saved time, facilitated gathering thoughts in a structured process. This book helps experienced and aspiring innovators alike write a working business plan foundation that you can use in just one hour. The One-Hour Business Plan™ addresses the hardest part about writing a business plan – getting started. It also simplifies the daunting task of how to write a business plan. What are the must haves? In one hour of writing time, not thinking time, the reader will have a business plan foundation to take their innovation to market. The author wrote this after 7 years of observing 1,000+ business plans and field testing. This works!. These five cornerstones will ensure that your business plan is effective. Ideal for any beginning entrepreneur, business owner, or experienced tycoon looking to gain an edge, The One-Hour Business Plan is an efficient, one-hour primer that will help you start thinking about a new business or doing something new with your old one. First we must clarify what you are offering very clearly. We include three exercises here because an articulate value proposition makes the rest of the business plan and business stronger. Second, we identify your customer target market and how you will reach those customers. Third, we list our specific competitors by name through a competitive positioning table. Then we declare what our milestone goals are in writing and develop step by step action plans to achieve them. Next we predict how much money we will likely make. Finally and in the last 10 minutes of the one-hour business plan, you take some time to pull it all together, prioritize what you need to work on, and finalize your business plan foundation. 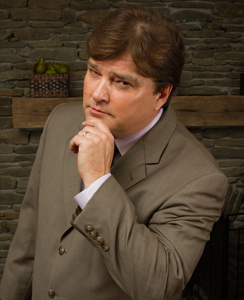 JOHN McADAM has decades of business experience as a hired CEO, serial entrepreneur, and Instructor. He holds an MBA from the Wharton School and has taught strategic business planning at the Wharton Small Business Development Center for years. Quoted in business publications such as Inc Magazine, Success Magazine, Cranes New York Business, Business News Daily, and Wharton Alumni Magazine, John McAdam also speaks for organizations having been a frequent radio guest and guest speaker for NBC 10 Philadelphia Small Business Week and Money Matters TV. To book John McAdam visit www.planfoundations.com. "This inspirational book is a must read for anyone aspiring to be someone and especially those people that are looking for angel funding. This is a book that is tough to put down. "What I enjoy most is that his business planning approach gets rid of all the clutter and gets to the heart of your business. I can’t wait until this book comes out so I can start referring people to it. " This book is all about what to do to get your company somewhere FAST which is all too essential in this fast paced world of startups. "John’s One-Hour Business Plan is an essential and easy read. I found the five essential business plan cornerstones to be spot on." 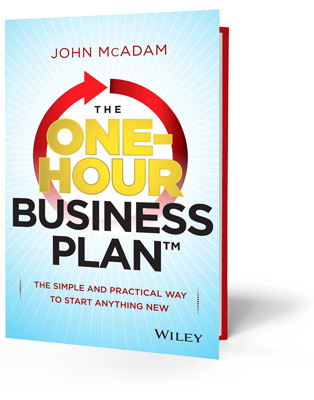 "John McAdam's, The One-Hour Business Plan was exactly what I needed. Providing me with a systematic approach, I was able to put my thoughts in a clear, concise format that inspired the attention I wanted." "As a SCORE mentor, I come across many budding entrepreneurs trying to aggregate their vision into a business plan…Mr McAdam provides a quick and concise recipe to help them put their vision to paper to effectively accomplish that goal." "The One-Hour Business Plan" helped me take a complex new concept, describe my service, and explain why my customer needs it very effectively. I was able to land six new clients for my new service!"